Hey everyone! Travis back with, yes you guessed it, some AWESOME things to do in Tampa Bay. Today we&apos;re talking about Cirque Du Soleil! In case you didn&apos;t know, Saltimbanco is coming to Tampa in late June, and will be entertaining audiences at the St. Pete Times Forum in the channelside district until early July. Over the next few weeks, we are going to be bringing you all of the information you need to know about Saltimbanco, bu all you need to do right now is head over to www.cirquedusoleil.com to get the preliminary details. Now, I&apos;ve never been to a Cirque du Soleil show, but from what I hear, this is one of the best...so you can bet I&apos;ll be attending at least one show. 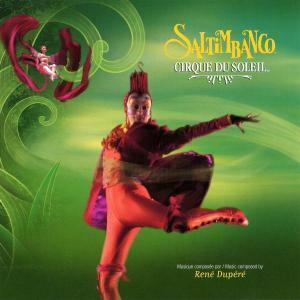 So start getting excited and stay tuned as we bring you more about Cirque du Soleil&apos;s Saltimbanco. And keep checking back for more great Tampa Bay area events and awesome Tampa Bay entertainment to enjoy, including great arts and culture in Tampa Bay.